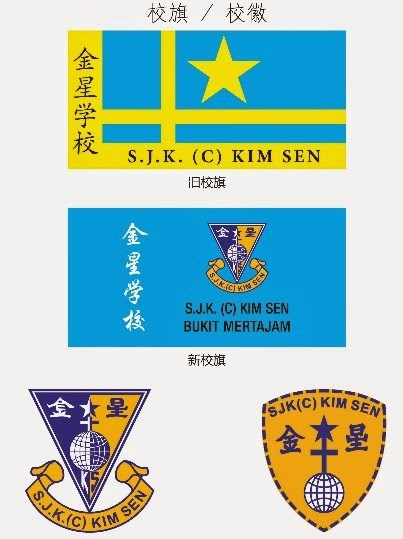 地址： SJKC Kim Sen, Jalan Kulim, 14000 Bukit Mertajam. Dengan penuh tekad menjadikan SJK (C) Kirn Sen sebuah sekolah yang unggul dalam pencapaian kurikulum dan kokurikulum. Kami warga SJK (C} Kim Sen bersatu menuju ke arah merealisasikan misi berikut agar tercapai dengan sempurna dan berkesan secara berterusan. bidang akademik, kokurikulum dan kepimpinan. ·	Mengutamakan suasana alam sekeliling yang bersih , ceria dan selamat. Mengamalkan nilai-nilai murni seiring dengan ittizam yang tinggi. I am proud to have been a part of the Kim Sen School staff. I taught in this school for more than twenty years and I must say that I enjoyed teaching in this school and in the company of wonderful and caring colleagues. For me and perhads some of English teacher-friends in a Chinese Medium School , teaching English is a chore . For student , learning English is a bore. Teaching English is a tedious job and no matter how hard we tried to get the students interested , the harder it becomes for them to learn it .Reason is because English is their third language and to them , English is not important either. Now, thanks to the government' s new emphasis on English language in our Education system, I can see the student' s and parents' enthusiasm towards the English Language. I think from now onwards teaching and learning English is going to be fun and challenging. I hope all student will have more interest in the English Language, for sooner or latere more subjects will be taught in English. I wish the headmistress teachers , office staff and students all the best . 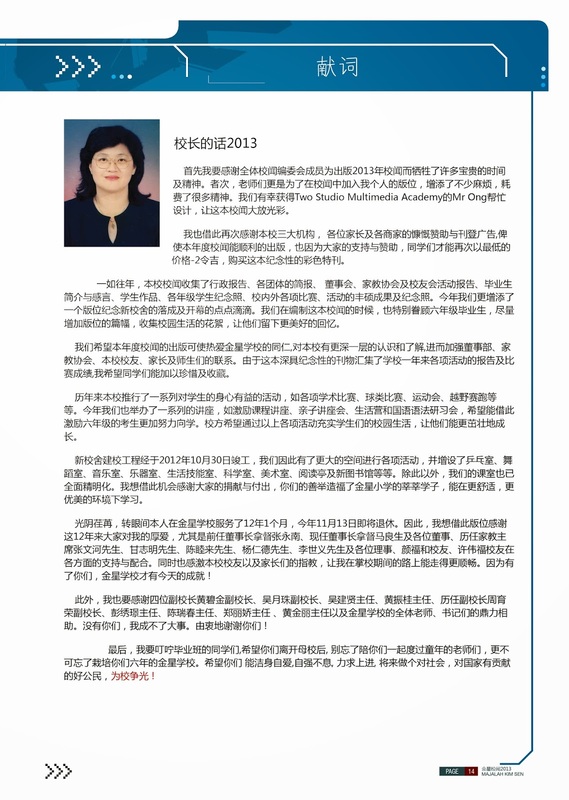 It gives me great pleasure to write a few words in the occasion of the publication of this magazine. here. I ' m also glad to note the standard of English in our school has been improving each year. Lastly , I ' d like to wish our headmistress , teachers and students all the best.